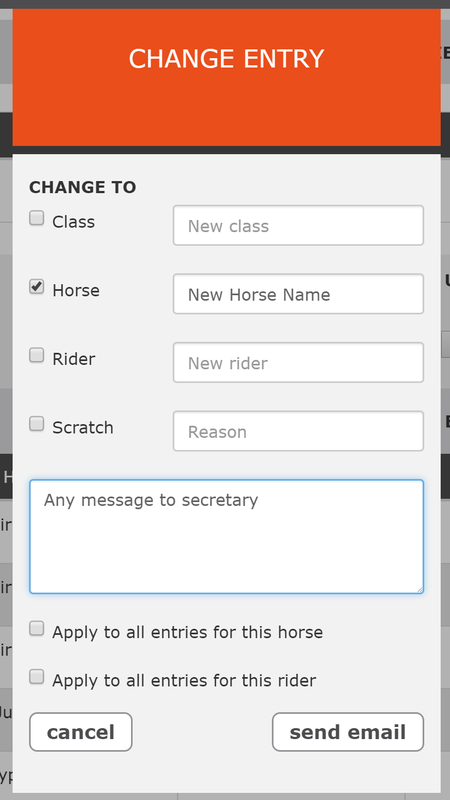 On the My Entries page you can make changes to your entry including changing the horse, changing the rider, changing the class and scratching from the event. When you make changes here, a message is sent the event secretary and they will make the changes manually so it may take some time to appear online. This will bring up a pop up with a list of things that you can change. Posted by: Yvette Lawson - Sun, Aug 20, 2017 at 11:23 PM. This article has been viewed 4171 times.